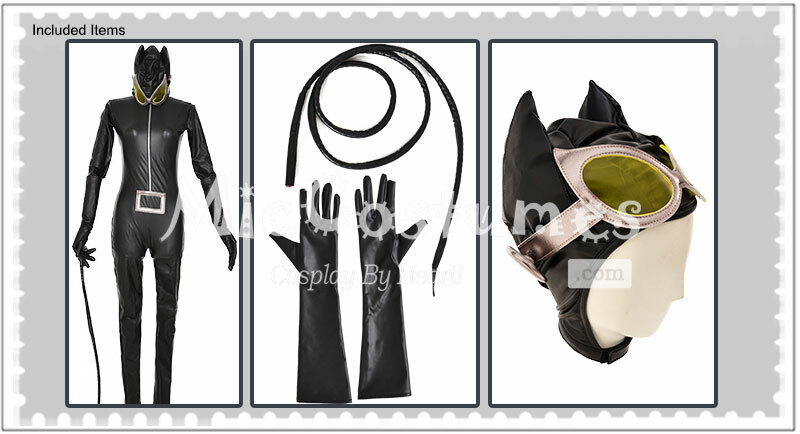 This costume includes jumpsuit, headcover, whip, gloves×2. 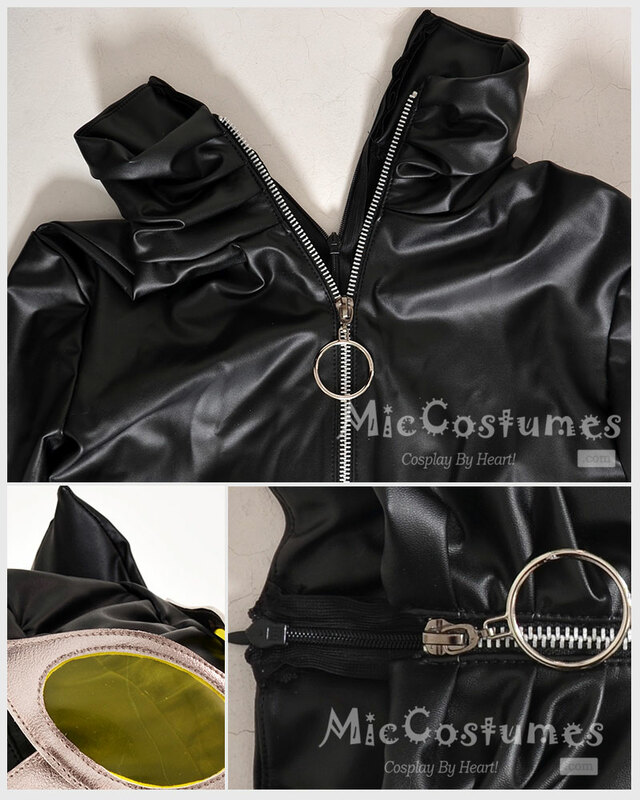 It is made of PU leather. 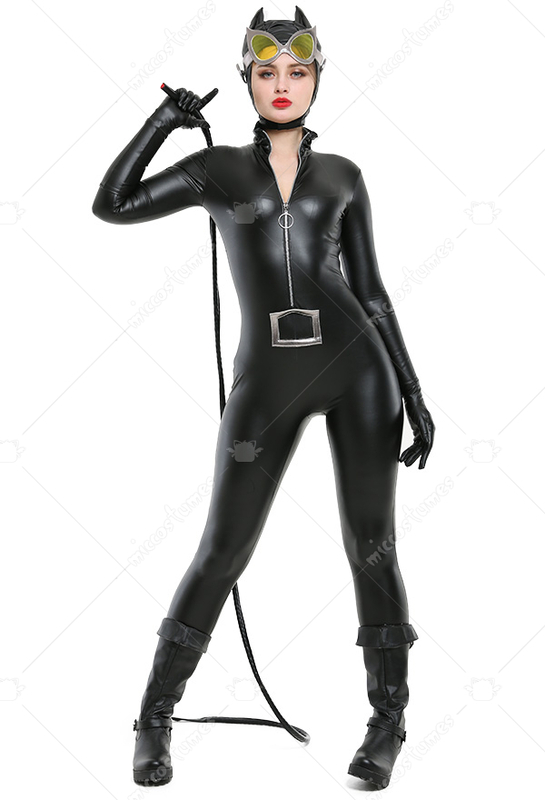 This superheroine jumpsuit bodysuit is inspired by Catwoman. Order to Made. It is not an official DC Comics product, not approved by or associated with DC Comics, but carefully manufactured by KISIBE Studio.